The trucking industry has been an integral part of the American economy since the 1920s. Some truckers have 20, 30, even 40 years of experience behind the wheel of a big rig, hauling freight to keep our shelves full. With a rich history and a full list of regulations, the trucking industry involves more than some might expect. Not to mention the driving skills and special techniques required to maneuver over 30,000 pounds. 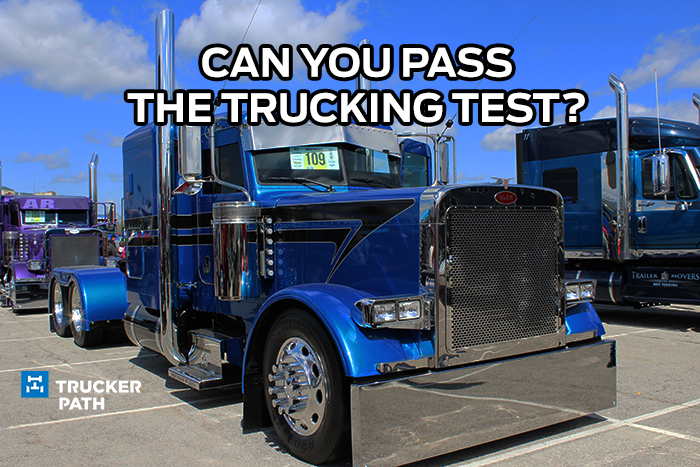 So, think you can pass the trucking test?